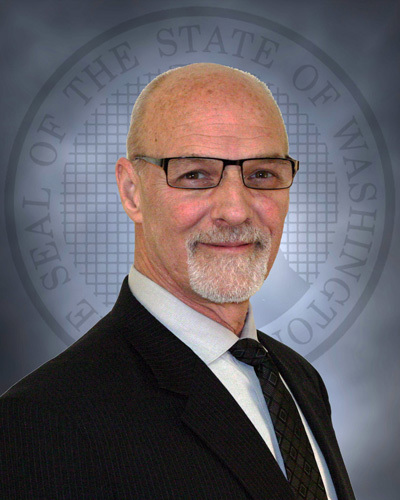 TUMWATER – Secretary Stephen Sinclair has named Robert Herzog as the Interim Assistant Secretary of the prisons division within the Washington Department of Corrections, effective immediately. Herzog currently serves as the Deputy Prisons Director Command A and brings more than 35 years of experience and leadership in the Washington correctional system to the role. "I chose Rob for this essential role because he knows the work and we share the same commitment to safety within all levels of our correctional facility operations," said Sinclair. "He has the passion, knowledge, and vast experience base that will continue moving our prisons forward with an emphasis on safety and increased reentry efforts. With his strong interpersonal skills, he has forged countless positive relationships within our line custody staff and facility administrations that provide insight and guidance to enhancing facility and public safety." Robert Herzog served for 19 years as uniformed custody staff before progressively promoting through the ranks of associate superintendent, deputy superintendent, and superintendent at various state correctional facilities, most recently at the Monroe Correctional Complex. Throughout his career, he has remained focused on maintaining the safety and security of inmates, staff, volunteers, and visitors. As the deputy director, he has provided leadership, direction, strategic planning, and oversight at six state prisons. In addition, he has responsibility for restricted housing units, oversight of investigation and intelligence units, and safety and security audits. Herzog has his Bachelor of Arts degree in business management from the University of Phoenix. Herzog is the 1999 recipient of the agency's Award of Valor. "When offered by Secretary Sinclair this opportunity to serve the Department and the people of Washington, I considered all that I've learned over my 35 years of correctional experience and the responsibility that agency leadership carries to promote safe environments within our prisons," said Herzog. "I look forward to continuing to promote consistent vigilance, thoughtfully considering policy decisions and measures, and maintaining the safety of all staff, visitors, and the incarcerated throughout the Washington Department of Corrections' correctional facilities." Herzog takes over from Stephen Sinclair, who was appointed by Governor Jay Inslee as Secretary of Corrections on April 25, 2017. Former Olympic Corrections Center Superintendent John Aldana will take over Herzog's role as Interim Deputy Prisons Director Command A.